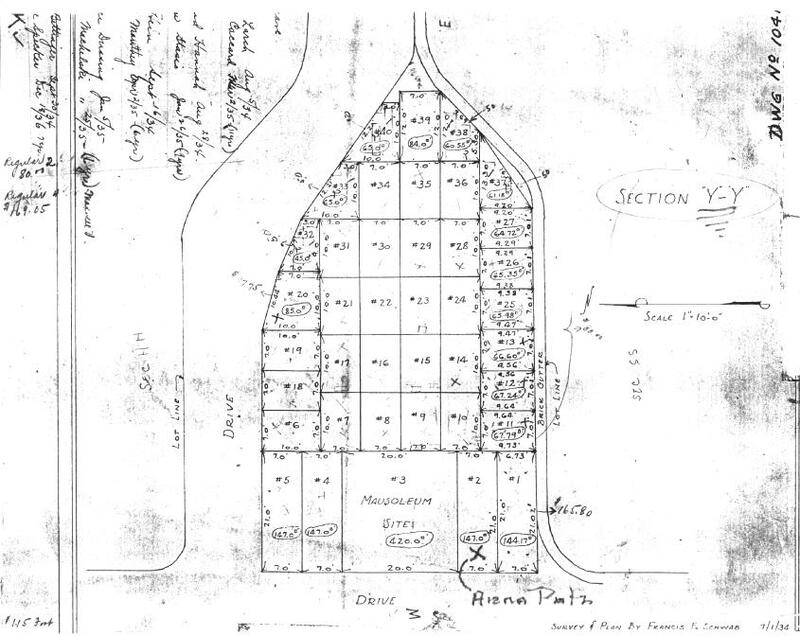 Anna Susan Patz was born on February 19, 1896, in Buffalo, NY. She was baptized by Fr. Ferdinand Kolb of Saint Boniface R.C. Church, 124 Locust Street, Buffalo, on February 23, 1896. Bernhard and Rosalia (née Schwert) Rebescher were her sponsors. Anna died of marasmus on October 4, 1896, at the age of 7 months. She is interred in an unmarked grave in Grave 2, Line 8, Lot 2, Sec. YY, United German & French Cemetery (Pine Hill), Cheektowaga, NY. John Martin Patzke / Patz: Born 1863; died 1933. 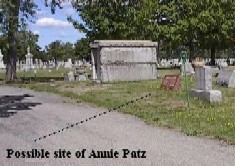 Probable location of unmarked grave of Anna Susan Patz, Grave 2, Line 8, Lot 2, Sec. YY, United German & French Cemetery (Pine Hill), Cheektowaga, NY. A map to this cemetery section is available here. Baptismal Record: Anna Susan Patz, born on February 19, 1896. Baptized by Fr. Ferdinand Kolb of Saint Boniface R.C. Church, 124 Locust Street, Buffalo, NY, on February 23, 1896. Sponsors were Bernhard and Rose Rebescher. 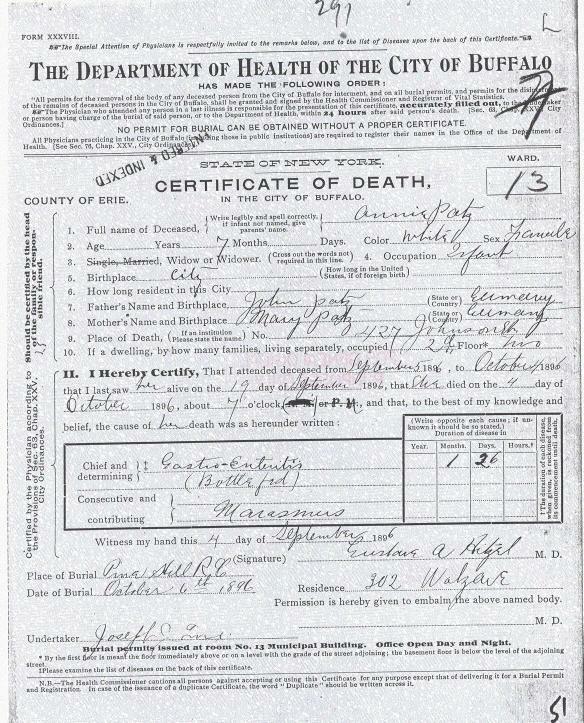 Death Certificate: Anna Susan Patz, died on October 4, 1896. 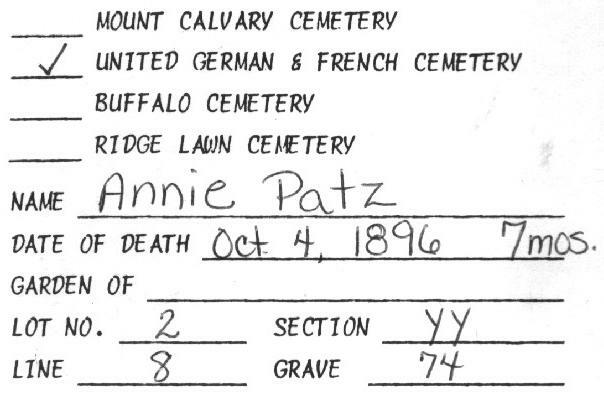 Death Record: Anna Susan Patz, died on October 4, 1896. Record is from the ledgers of Saint Boniface R.C. Church, 124 Locust Street, Buffalo, NY. 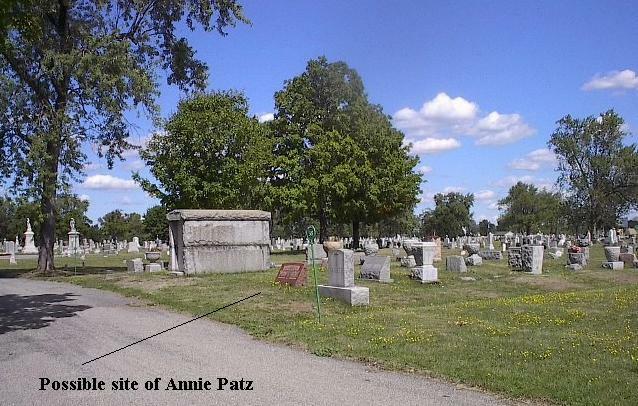 Interment Record: Anna Susan Patz, died on October 4, 1896. Interred in Lot 2, Sec. YY, United German & French Cemetery (Pine Hill), Cheektowaga, NY. 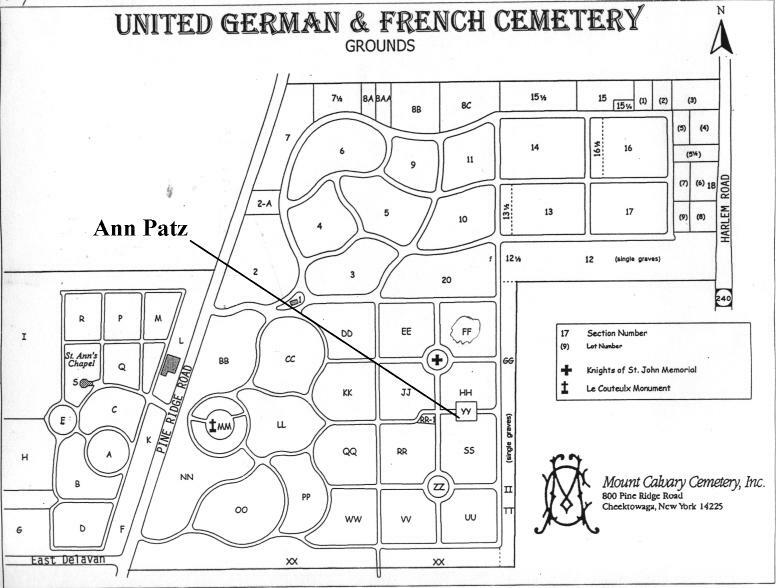 Cemetery Map: United German & French Cemetery (Pine Hill), Cheektowaga, NY, showing location of grave of Anna Susan Patz.